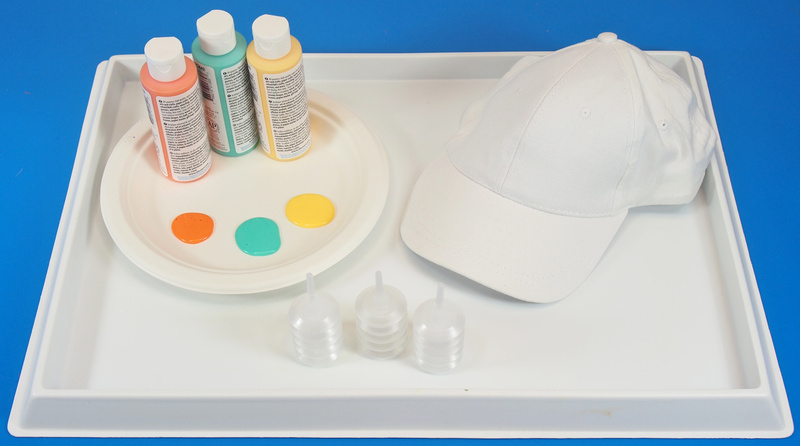 This colorful painter’s hat will delight any art enthusiast! Decorate with the unique effects produced from our Paint Bellows. Learning Objectives: Use squeezing motions and exercise fine motor skills while using the Paint Bellows. 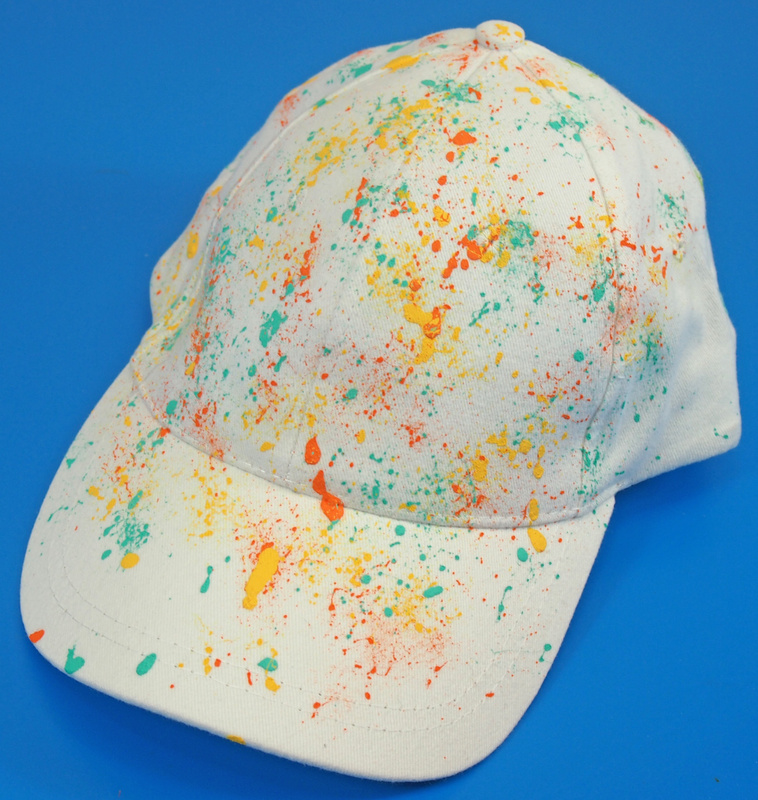 Create splatter paint effects to decorate a blank hat. Paint Bellows are unique painting tools with a narrow spout and a wide, accordion-like chamber for propelling out the paint. To use the Paint Bellows, you will need a good pincer-like grasp to press the chamber tight. This helps to expel all the air from the chamber. 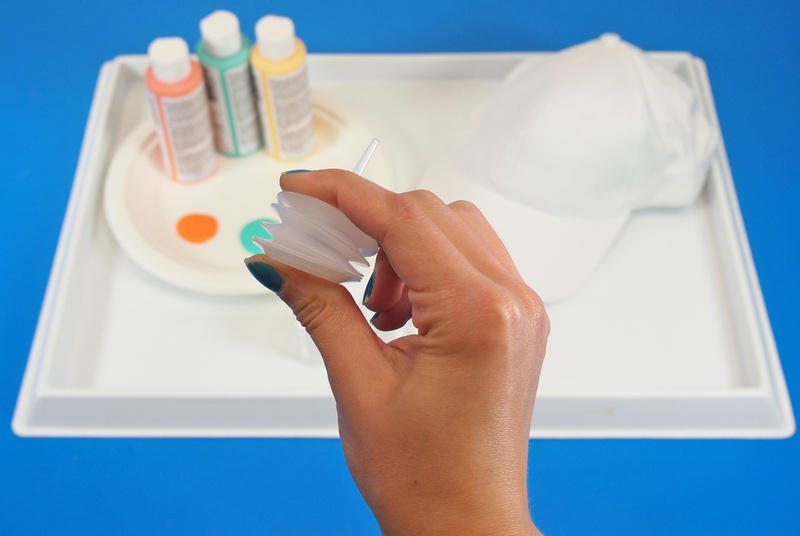 Dip the spout into a glob of paint and release the chamber. This release of pressure will cause the paint to rush inside of the Paint Bellow. When you are ready to use the Paint Bellow, rapidly squeeze and release the chamber to push globs of paint out. I’ve started with a soft peach-orange color. This will be the base color. 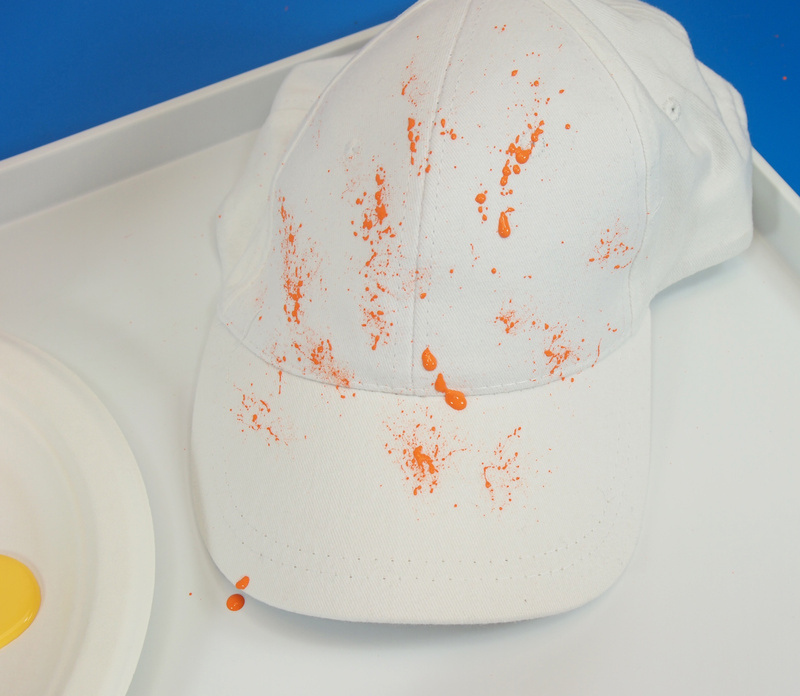 You can keep adding as many splatter spots as you like throughout the hat. 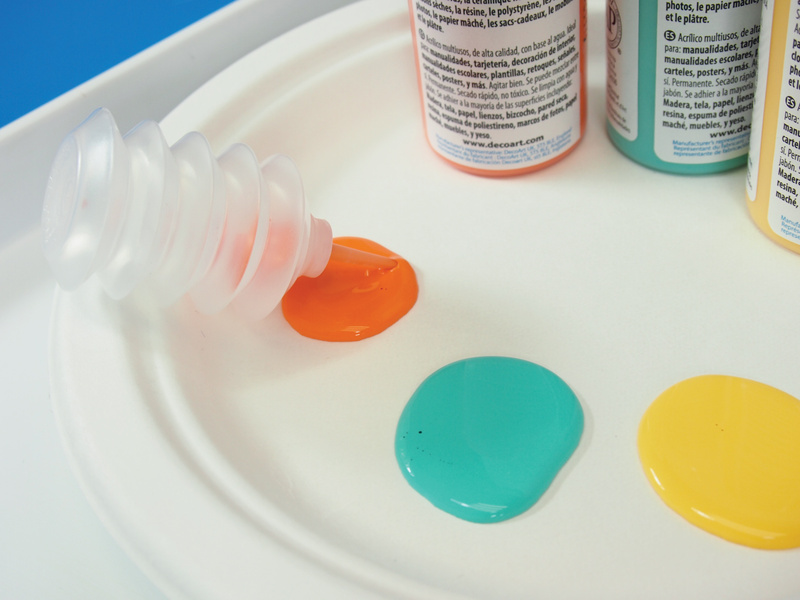 Mix other colors such as a soft teal or bright yellow into the mix and get a unique design! This entry was posted in Art, Crafts, download and tagged acrylic fabric painting, acrylic paint, fabric paint projects, fabric painting, fabric spray paint, hat painting, paint bellows, paint splatter, paint splatter hat, painters hat, splatter by roylcoblog. Bookmark the permalink.